This cooperative behavior is forever useful, so, it is worthwhile to invest training time building this skill. For a dog that likes toys, always encourage the retrieve after sending the dog to the toy. Tugging is the perfect reward for retrieve…for dogs that enjoy tugging. But what about the dog that doesn’t like to tug, or doesn’t care for toys at all? I fully realize that not all dogs are excited about toys. Obviously, such a dog will not be rewarded by a game of tug. Dogs can be taught to retrieve for a food reward, but, the caveat is that the dog needs to spit out the item to eat. That’s a conflict that will cause the dog to prematurely drop the item to collect the reward. To get around this conflict, dispense the treats in a way where it seems like the treats are coming from the retrieve item itself, not your hands. Ideally, you can find a container that the dog can pick up and carry but that he cannot extract the treats from without your help. This may need to be a velcro or zippered pouch, or you might find things in your recycling bin that will work (like a hard plastic vitamin jar) (more ideas below). Choose items that are easy for your dog to carry (so a small pill bottle for a tiny dog, for example). Use appropriately sized items for larger dogs so that it is comfortable in a relaxed mouth. Of course, practice at your own risk. You must be fully in control of the situation so your dog doesn’t swallow and choke on the item. If your dog will abscond with the item and you do not understand how to get the item from the dog, find a trainer to work with (and be sure they know how to help, many won’t) and do not try this alone. Work in a very small space: a closet or a bathroom devoid of other distractions. Find a tantalizing morsel, attractive enough that you have your dog’s attention and let your dog know that you have it by waving it just out of reach under his nose. Take your wrapper (5 sheets of newspaper), and, while your dog is watching, wrap that food up, twisting both ends so the dog can’t easily get the food out. Get down on the ground and toss the item just a few feet away towards the wall. Encourage your dog emotionally with your dialogue. Remember, dog’s prefer playful, not pushy. Try taking a deep breath of awe rather than shouting. Tap a corner of the item or start to tear at the paper to get the dog interested if you need to. Once your dog is investigating, move back a little. Do not move towards your dog. Sit still and encourage your dog to come back to you (patting your legs, drumming on the floor in front of you, clapping your hands, etc). If your dog doesn’t even pick it up, but puts his paws on it to try and begin tearing it open, help him by tearing into it, too, getting to the reward in the middle. Make it appear as if the paper is delivering the treat. Repeat. As your dog’s interest in the game grows, see if he’ll pick up the bundle. Encourage the dog to come back to you as soon as he gets his mouth on it. Resist the temptation to meet the dog and instead ask the dog to come to you. If you are already very close to the dog and in a confined area, the dog is more likely to make it back to you. Start with very little distance and throw the item next to a wall so your dog can’t move farther away. You may have to start by clicking your dog just for picking it up with his mouth, at which point you’ll move in and deliver the reward from the item, NEVER FROM YOUR HANDS DIRECTLY. The idea is to convince the dog that there’s a prize inside and if he hurries up and brings it to you, you will use your hands to help him get it out faster. As this dog progresses, stick the paper bundle inside of a sock so the dog can’t tear it open as easily. Transition to using just the sock with a meatball inside. When your dog brings the sock to you, flip open the cuff while still holding part of the meatball. As the dog is grabbing for the meatball, present it directly from the sock while backing slowly away from the dog. As it starts slipping out of reach the dog might start biting for it. You want to hold the meatball inside the sock so part of it is accessible and the other part is covered. This can make the dog try to bite down to grab a hold of the retreating item. You may even be able to turn on your dog’s interest to tug if you practice this enough. Other containers you might try are: a cardboard tube (like toothpaste comes in), a travel container for a toothbrush, and there are lots of toys that you can stuff with food (the lotus ball, pouches, discs, covered or lined with fur and squeakers, with bungee cord handles). Sometimes you can find household items that are perfect. In the picture you see a lunch bag that folds up and has a strong Velcro closure. Whatever you use, find something that the dog can’t open without thumbs. A lot of dogs are much further along in the process. Adjust accordingly but be aware of the distance and distractions. You will definitely have an easier time with this exercise if you use items that are long enough for you and your dog to both have your “hands” on. Pouches should have straps. Most toys become more attractive with a strap because you can activate the prey drive by dragging it (like you would for a cat to pounce on). If it’s too small (like a ball), it is hard to snake and tease along the ground. It’s also easier for your dog to run off with the toy if it doesn’t have a handle. Always encourage your dog to return to you. If you cannot get the retrieve, put a long line on the toy! That way if your dog picks up the item and runs it becomes a tug game rather than something destructive, like keep away. If your dog likes to tug, play a little and then let go and dance away playfully from your dog. Ideally, when you let go the dog will run after you and pounce on you, begging for you to tug (or to open up the pouch) to immediately restart the game. If it’s OK with you, let your dog jump on you (dogs are context oriented and you can easily teach them it’s allowed in play and not during daily life). My dogs try to shove the toy into my hands, usually with their paws on my belly. Finally, before the dog spits out the item, say your “Give/Drop it” cue. Getting a dog to hold onto a retrieve item until you say let go is another entire undertaking. Often, dogs will eject the toy at your feet or prematurely when you reach for it. It’s a worthwhile training task to teach your dog to deliver it to your hand. 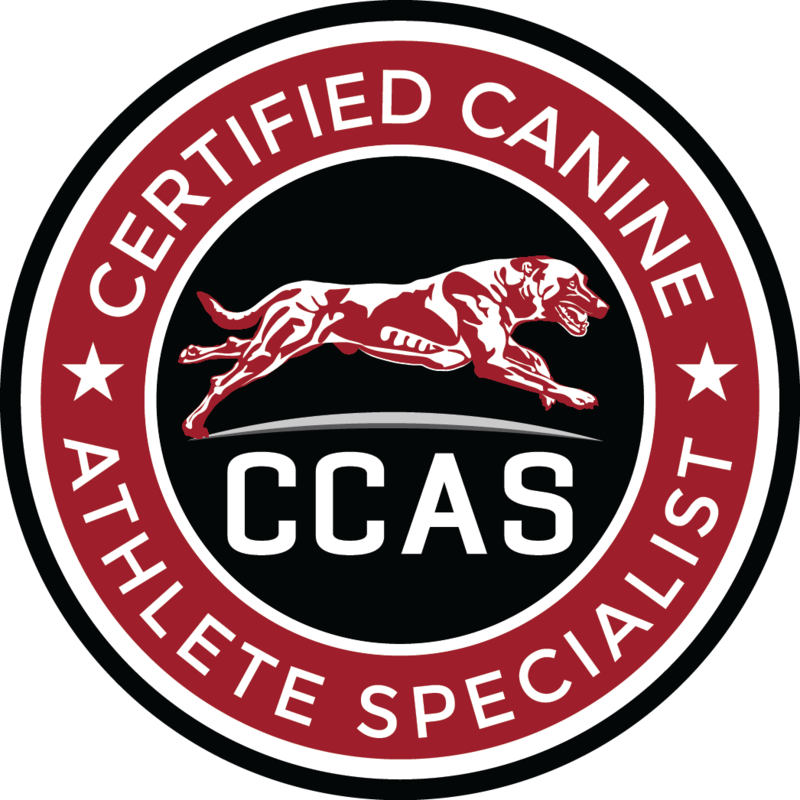 If you are interested in competitive sports, service dog tricks, or you just want your dog to do the bending down and picking up for you, you should already be aware of the challenges the complete delivery to hand presents and be mindful of that component throughout your training.